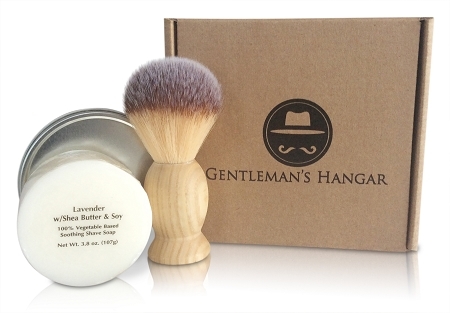 Gentleman's Hangar's natural 3.8oz puck of shave soap, synthetic brush, and steel shave bowl is vegan, natural, healthy, and moisturizing. 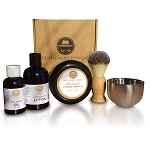 Say goodbye to dry, irritated skin and enjoy a tremendous value from this shave kit. 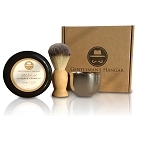 Before I founded Gentleman's Hangar, my then 2-year-old son was admitted to the Children's Hospital of Milwaukee, WI, where he spent several days in a hospital bed hooked up to IVs and a feeding tube. While we were fortunate that his admission ended up not being the result of a life-threatening illness, there are many more young children who spend weeks, months, or even longer in hospitals fighting serious illnesses and injuries. As anyone who has spent any time in the hospital knows, time stuck in a bed becomes incredibly mundane and boring in short order. For young children, this time can be excruciating. With that, I've decided that it was time for Gentleman's Hangar to give back to the community in a way that everybody can appreciate. Effective immediately, Gentleman's Hangar will donate an age-appropriate board or activity book to a child admitted to the hospital for every sale we make. It doesn't matter if you buy directly from our website or another retailer; our promise is the same. It's a small gesture, but one that we hope helps to make stays in the hospital for our young ones just a little bit more bearable, even if just for an afternoon. I am hoping that you'll find it another reason to feel good about using our products as well.